With Thanksgiving, Christmas, and New Year’s right around the corner, holiday parties will be happening non-stop. 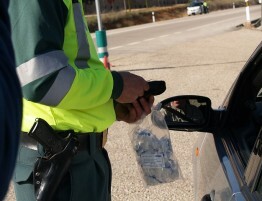 With an increase in parties comes a potential increase in drunk driving. Determine what time you plan on leaving the party, and cut yourself off several hours before that. Even if you end up leaving later than you planned, you will have given yourself more time to sober up. Having a plan helps you keep yourself accountable for stopping your alcohol consumption at the right time. Let others know that you need to stop drinking. Your friends can help you keep track of the time and limit your drinking accordingly. Find something tasty to drink when you switch to non-alcoholic beverages. 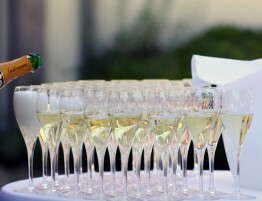 Most people will offer several kinds of drinks at their parties, including a couple of non-alcoholic choices. If you happen to really enjoy something like sparkling water, cider, or iced tea, switch to that. If you’re concerned that there might not be something for you to drink, offer to bring something. You can even whip up a fun “mocktail” (non-alcoholic cocktail) for you and others to enjoy. When in doubt, do not drive. 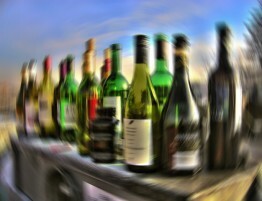 If you haven’t paced yourself properly or didn’t stop drinking in time to sober up, seek out another option. This means getting a ride from someone who is sober, or staying the night and leaving in the morning. The route you take will depend on the situation, but given the rise in accidents, injuries, and deaths due to drunk driving, almost all people are willing to work with someone and figure out a solution so that they do not drive home in a drunken state. Your safety and the safety of others is incredibly important and your friends will help you get home safely. 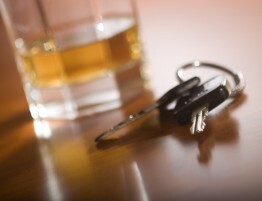 If you’ve already gotten a DUI, these tips should help you in the future so that you don’t receive another. In the meantime, if you need help understanding the steps and courses of action that come after getting a DUI in California, we’re here to help. Contact us today.